Course description: During this course you will learn all phases of making a stained glass window. You will learn how to easily cut glass and break it to fit a pattern of your choice provided. Then you will learn how to foil, solder, and frame your stunning piece. By the end you will have made a stained glass window to take home. 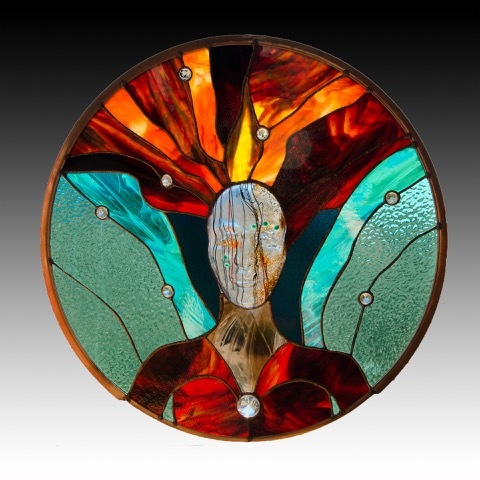 Debb Cusick has always had a passion for glass. She studied at the Cincinnati Art Academy and learned many techniques and styles of art. To follow her desire to learn glass she had taken various courses in glass. In 2013 Debb studied under Narcissus Quagliata. During her time with Narcissus she learned new techniques in glass design and painting. Throughout her career Debb has extensively traveled to various states being involved in many art shows. In 1998, her window called “Apothecary”, was donated to The Smithsonian where it still resides.